Hora Gaming this week was a little more sporadic than last week but I have a few things to tell you about. After last week's exertions I'd added Too Many Cinderellas and Imperial Settlers to the wishlist. Having recently attended some training sessions for my tutoring role with Surrey County Council they paid for the first one, £33 no less, result! I decided to treat myself, it's been a while you see. So I splashed the whole amount at Meeple's Corner and in the post, any day now, will be Discoveries and Harbour, looking forward to them. My additional baggies turned up, so one for James too. 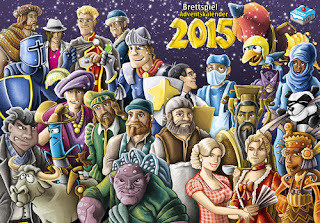 On the Essen wishlist I added several more: Burano - it's like Murano but with lace rather than glass, Bretagne, another Keyflower tile, the Pig Farmer, and lastly I pre-ordered the Brettspiel Adventskalendar - this is a gem, a German advent calendar (how good is my German, hey!?) that comes with 24 mini expansions and I have 11 of the games already, brilliant! There's Fields of Arle, Glass Road, Castles of Burgundy, Splendor, Bonanza, Carcassonne Winter, Colt Express, Power Grid, Targi, Wizard and Rococo. Of the other 13 I'm sure you'll all be happy with you're Christmas gift this year!! With the family away Jon found himself with some time so popped over for some two player heaven. I introduce him to Haru Ichiban, it's very pretty! Then Fantastiqa got it's second outing. I'm loving this one, very interesting deck builder that's also attractive. And then finally we did some puzzling with Ark of Animals. Brilliant fun. Additionally, I'm trying to play through some of my middle weighted games and have been avidly trying to turn rulebooks into experiences. With the abandoned Aquasphere at James's that was first up. The rules are pretty well written, normally are by the Feldmeister. My run through saw three players getting to grips with scientists programming their bots in various labs. Plenty of ways to score points and yet you really need to optimise every move. Some interesting choices, a little luck factor thrown in, and a fair amount of interaction that you don't always get from hero Stefan. It took a while but it's good. There's plenty to explore, set up can be varied massively, it's going to get some plays this one, for certain! 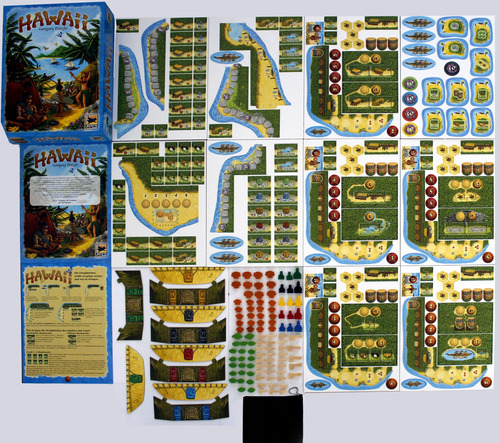 One of the games I've played once only but always thought I adored was Hawaii. It's almost three years since that initial play. I dusted off my copy and went through the rules. Not quite so fluently written it must be said. Quite heavy on the set up too, but once you know what you're doing the huge number of actions available soon clicked into place and my positive memories were spot on. This is a great game, love it. Feels more Feld than some of his more recent fare, I bet he likes it. Another three player run through. Wonder if I can get this a game at the club? Being useless at suggesting games I've more recently turned up with only a few fillers rather than 'proper' games, the relative disappointment in not playing one of what I've taken along is too much to bear. I have to avoid that type of stress ridiculous as that may sound. Fortunately, the recent indulgences at home and at others have been fulfilling those wishes. 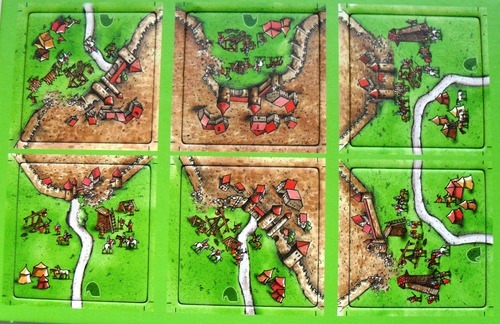 Also spent some of the time going through my Carcassonne expansions, you could spend your whole life doing that you know. I made a couple more tuck boxes so that all the tiles still fit in a small box. I printed some rules out that I didn't have in said box. 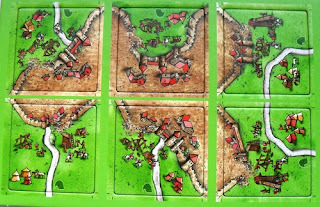 And then I realised that I'd missed a couple of smaller expansions that looked 'crucial', the second 'Halflings' and the 'Besiegers'. Ordering on the German Hans in Gluck site is always easy and cheap too, especially with the strong pound. Turned up in three days too, great stuff. There are a limited number of words in the English language, try reading any dictionary though and even the most enthusiastic wordsmith will struggle. For me, in my writing, I try to find different arrangements for the words, give them some sort of rhythm, make sure there are some interesting sounds and use them to relate an idea, a situation, even a whole story. In the gaming world I'm sure most of us were brought up with Scrabble to varying degrees, hell, Cheryl and I splashed out on the turntable edition as soon as it was available! We also have been playing boggle for as long as I can remember. I score it a perfect 10 on the Geek. I love it, it's quick, it's requires not too much brain power, a concentrated three minutes and then the joy of realising how much I've won by. For some reason I rarely get beaten at Boggle. It's undoubtedly because of these two games I have shied away from other word games. Scrabble is now a bit boring, Boggle still a gem. 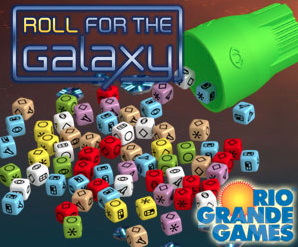 Having looked at other word games I haven't felt the need to actually try any of them. 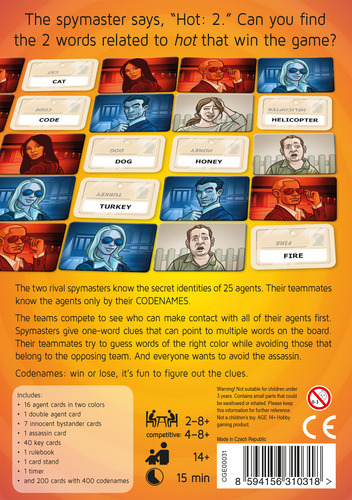 So this week, for me, it was with a certain nervousness and a little bit of excitement that John Bandettini had mentioned his pre-release copy of Codenames would be making an appearance at the club. John gets the latest Czech Board Games, and would get them earlier if he'd made sure his postcode had been provided to the company! Anyway, following a visit to see Philip - he's progressed well this week and beat both of us at Red7 - with Paul a game was just beginning so we leapt in. A 5 x 5 grid of 25 words. Two team captains have to provide clues so that their team can identify 9 or 8 - depending on who's gone first - of the words. These clues consist of one word and one number. The word is supposed to have a link to some of those words, the number being how many, obviously. Sounds straight forward, I thought it wouldn't be too difficult I have to say. Yet, the skill of the captain in trying to find the right word is bloody hard. You have to not only ensure you identify more words for your team than the opposition, you also have to avoid your team guessing wrong, giving those opponents a freebie, or worse, much worse, blowing the whole game by leading them to the 'assassin' word. The second game I played of it saw me captaining Tom and Raj, both bright lads. There were three words that rhymed, 'chick', 'stick' and 'tick'. We hadn't had anything like that before. I'd got the team to identify the first one previously so was left with the other two. I decided to go with 'thick' as my clue, and two words of course. Thick turned out to be what the team was, they identified 'stick' and then for their second choice went for 'club'. I mean WTF?! Especially as club happened to be the round's assassin word, game over! 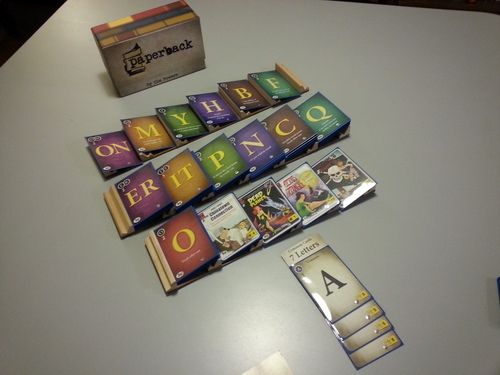 After the treat of playing Roll for the Galaxy with Tom, TomTom and Philippe and managing second place it was over to another word game, Paperback. I'd looked closely at this one and thought 'meh'. Wrong again! It's pretty good in fact. You get make words scrabblesque style using the ever popular deck building mechanic. The longer your words the more points you score, bring it on! I thought I was doing well until the final scoring came in. Thrashed we were, all of us! 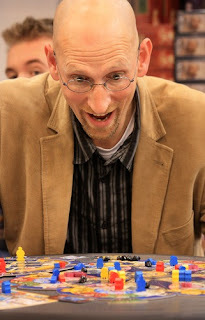 Philippe had amassed a huge 50 points, the rest us sat far behind with 23 to 38, well played sir! Another very impressive turnout this week, we had, James and Olga, James II, David, Jon, John B and John, Noel, Tom and TomTom, Paul D, me, Amanda, Gareth and Sarah, Philippe was back, as was Raj, good men! And then joining us for quite sometime due to a contract in Hounslow of all places is Andy, welcome. And these are top secret, files stored away somewhere for oblivion: Goa, Ra, Murano, Railways of Mexico, Zombie Mania, Qwizz das Kartenspiel and I'm not sure if Spectaculum got a play or not. A follow up to the games I (David) was involved in to fill in the gaps. We started with the Kanga Games edition of Loot with David, James II, Tom, TomTom Amanda, John and Philippe all taking part. Not many merchant ships were being played and those that were played were quickly attacked. However both Philippe and James II did quite well smuggling merchant ships through whilst people were otherwise occupied. Towards the end I realised I forgot to mention that Merchant Ships left in hand were minus points which Jon pointed out when he arrived which lead to much embarrassment on my side. In my defense it was a long time since I last played it :p After the final scoring tally Philippe just pipped the victory thanks much in part to everyone else having Merchant Ships in hand. We followed that up with the second game of the night of Codenames. On one team was David and Amanda with Paul providing the clues on the other team was James II, Noel, Andy and Jon providing the clues. It got off to a fast start with the other team successfully guessing Chocolate and Shadow from the clue 'Dark'. Amanda and David kept up by guessing Teacher and Shakespeare from the clue 'Literature'. The turning point however was a lucky guess from Amanda and David from the clue 'Chop' as they guessed correctly Helicopter and Car. The reasoning being a Chopper and Chop Shop. Both were correct although Paul's clue was meant for Helicopter and Fence (something to do with chopping) and our guess of Car was lucky as that was one of words anyway. The final score was Amanda, David and Paul beating the others by one. 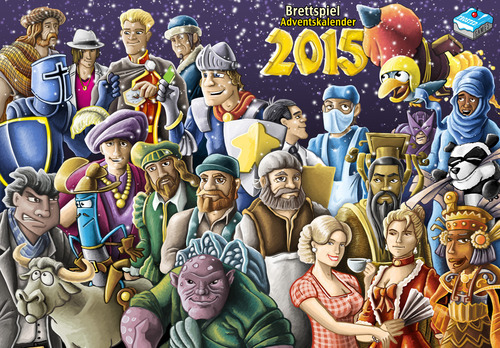 A wonderful social game with more players. Next up was the third Reiner Knizia game of the evening, Ra which Andy bought along. The players were Andy, David, James II and Amanda. We had all played before but not for quite some time so Andy kindly gave us a quick run through to jog our memories. Andy also helpfully provided a printed off player mat from BBG that we all agreed made the whole thing a lot easier to keep track off and wondered why it wasn't included with the game itself as it was so useful. As the game progressed it was clear there were two players in contention to win, with James II going down the long game of monuments whilst avoiding any negative scoring along the way whilst Andy went for the flood and Pharaohs. Amanda and David struggled a little being hit with negative scoring for the least Pharaohs and Civilisations. The last action came down to Andy who, with a bit of cajoling, pushed his luck and managed to grab a great hand that allowed him to score his many floods on the last epoch. However it wasn't enough as he fell short against James II many Monuments with the final score James II 44, Andy 39, David 26 and Amanda 22.